Firstly, the deal is of course subject to shareholder approval (at +50% premium to the current run rate before the rumours began), this is a premium unlikely to be turned down by the so far loyal, Airgas shareholders. Secondly, the deal needs to meet anti-trust and regulatory approval, and then lastly, the usual terms and conditions of such an offer. Peter McCausland, the power behind Airgas, and important shareholder, has as part of the Airgas board, given his seal of approval (which was not forthcoming in the Air Products attempt in 2010), and McCausland has stated that the deal will bring great value to the Airgas shareholders (over double the Air Products offer price in 2010). The actual deal in total represents a multiple of 13.4 times EBITDA (last 4 quarters) – which from the outside is very high for a mainly gas distribution orientated business. Air Liquide has already announced possible cost synergies of $300m, which would indicate a more realistic purchase valuation of 10.5 times EBITDA – which for a well-integrated gases business is more in line with expectations, but for a gas distribution business is still very high. So has Air Liquide over paid for the business? The simple answer is that time will tell. Air Liquide has and remains a more long-term thinking company, this could prove to be a very good strategic fit for the company. 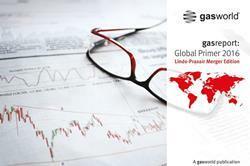 gasworld Business Intelligence also believes that Air Liquide should gain more cost synergies across the business supply network than those announced – especially in the packaged gases sector - as we believe Airgas does not operate their packaged gas filling assets with the same efficiency as Air Liquide, in their European and other global businesses. 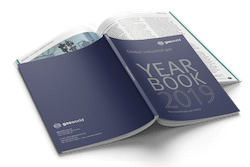 Airgas itself has been very much developed along the gas distributor business model, as it has grown mainly through acquisition over the past 33 years. So not surprisingly, Airgas has built a national network and has a strong position in the packaged gases business. 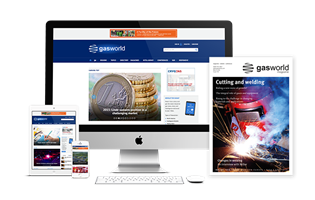 James Barr, Business Analyst of gasworld, explained, “Airgas has a 30% share of the gas & services sector in packaged gases in the US – the largest player by some margin. However, Air Liquide has only recently been re-building its packaged gases business in the US, as it exited much of that market in the early 2000s. Currently, we estimate Air Liquide’s gas & services market share in packaged gases at 4%.” Therefore, combined the market share would be 34% - still not raising too much of an anti-trust matter. However, the FTC will not just look at the total US market, but will focus on regional market share to see if there are any dominant positions what it would consider to be an unhealthy competitive market. 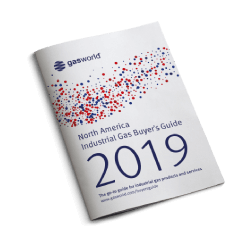 gasworld Business Intelligence has, as stated, analysed the gases business for eight main regional markets that make up the US. The resultant findings suggest that the New England and South East regions may indicate potential issues, and only at a localised level. 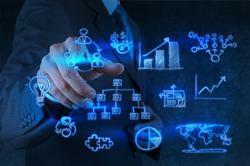 What about the liquid production supply chain? When Air Products made its hostile bid for Airgas, an accepted position by the FTC was that Air Products would divest of 15 of the 16 Airgas owned ASUs – this was due to the proximity of both Air Products, and Airgas ASUs that produced liquid gas products such as LOX, LIN and LAR. Looking at the spread of ASUs between Airgas and Air Liquide across the US, there may be one or two plants in the Great Lakes and the South East gas markets only, that may present problematic positions in supply of liquid gases to the market. 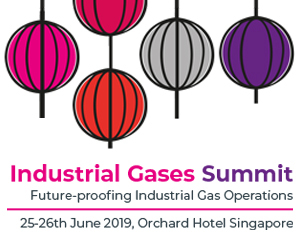 One thing that is apparent is that Airgas does possess some old ASUs, which should have been replaced due to age and inefficiency, and if these do overlap one would expect Air Liquide to support a closure of one of the plants rather than the need to divest. Both Air Liquide and Airgas have invested in the merchant CO2 business in the US in recent years. Based on capacity alone – their combined share amounts to 11,000 tons per day of CO2 capacity, accounting for 26% of the total capacity in the US. 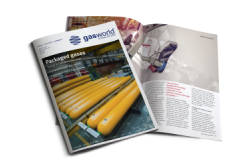 Looking at the regional spread of capacities, gasworld does not believe this presents any anti-trust issues. 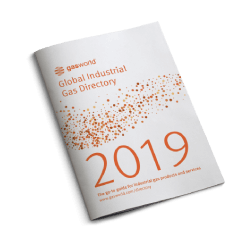 The gasworld Business Intelligence online service provides dashboards on each region throughout the US, also containing maps of production facilities and cylinder filling locations. 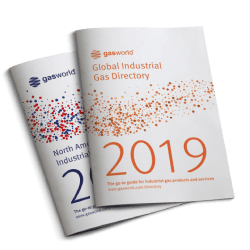 For more information on the US gases market, or any other industrial gases markets across the globe – please contact intelligence@gasworld.com. Incorporating: Connecticut, Maine, Massachusetts, New Hampshire, Rhode Island and Vermont.